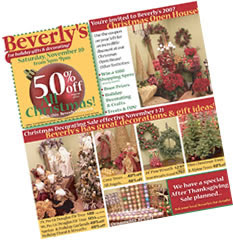 Print this coupon, and come into Beverly's this Saturday for an incredible discount on all holiday items. The SideWinder is here! 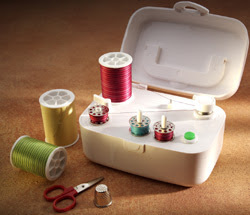 The SideWinder is a freestanding machine that allows sewers, quilters and crafters to wind the bobbins needed for their projects without having to unthread and re-thread their sewing machines. The SideWinder’s compact size, ability to run on 2-AA batteries or with the power cord provided, and the fact that it is a unit separate from the sewing machine gives it great flexibility. Available at your local Beverly's now! ..... to view online. Check out this month's great deals on home decorations and gifts for the holidays. Also, this month's Try It! Station Tools are the Slot Puncher and Instant Setter from Making Memories. Great tools for creative holiday cards - come in and give them a try!